So for these people with these tweets and their followers, the waste water tanks are the reactors, and the dry bed of dirt and sand after the contaminated soil has been removed is either the marsh or the river. Ditch the fact, embrace the "truth" like Ms. Obokata. Japan's tabloid daily Nikkan Gendai has an article with leaked information from Prime Minister Abe's ministers who anonymously shared their (and supposedly Prime Minister Abe's) disappointment over US President Obama, who was in Japan on a state visit. While the US reporters accompanying the president on his Asian excursion asked tough questions like "Did you like green tea ice cream?" Nikkan Gendai's reporter wrote up an article condemning the Abe administration of complaining about Mr. Obama. If what Nikkan Gendai reported is true, President Obama, instead of trying to foster personal ties with the Japanese prime minister on the occasion (private Sushi dinner at a sushi bar in Ginza, Tokyo where the minimum charge is $300 per person), dutifully represented the US multinational corporations who demand TPP, Trans-Pacific Partnership, or NAFTA on steroid, as if he were a working-level negotiator. "The approval rating of the Abe administration is in 60s, mine is in 40s. Shinzo [Mr. Abe's first name] is more stable politically, so please make concessions in the TPP negotiation." Mr. Abe tried to deflect with a joke, saying "In Japan, Ambassador Kennedy is more popular than me." However, Mr. Obama kept pressing for concessions, citing the tariff rates for pork and beef. The sushi dinner was reportedly $300 a person (minimum), which is not particularly expensive at all in an exclusive restaurant in Ginza. Mr. Abe and his ministers dined on $500 steaks, says Nikkan Gendai. President Obama was in South Korea on Friday, telling the Korean president what she wants to hear on Korean "comfort women", just as he told Prime Minister Abe what he wanted to hear on Senkaku Islands. The Abe administration is not pleased with Mr. Obama, who made the issue of "comfort women" into a political/diplomatic issue. If China were on his itinerary, then, Mr. Obama would go on to condemn Japan over Senkaku Islands, following the pattern of saying what the host wants to hear. US Defense Secretary Chuck Hagel has indicated as much, but it is the first official remark by the president of the United States. So does he wants a nuclear war with China over some rocks in the ocean? Looking at the way he was extremely willing to go to a "shock and awe" war with Syria (and Russia that supports the Syrian government) on a flimsy so-called piece of evidence (youtube video) of gas attacks (which turned out to be a false flag operation by the Turkish government, according to Seymour Hersh) and looking at the most recent "regime change" in Ukraine and unfolding mess, yes he is quite willing to risk a war with China, even if not necessarily nuclear. U.S. President Barack Obama assured ally Japan on Thursday that Washington was committed to its defendefensece [sic. ], including of tiny isles at the heart of a row with China, but denied he had drawn any new "red line" and urged peaceful dialogue over the islands. ...Obama, on the start of a four-nation tour, is being treated to a display of pomp and ceremony meant to show that the U.S.-Japan alliance, the main pillar of America's security strategy in Asia, is solid at a time of rising tensions over growing Chinese assertiveness and North Korean nuclear threats. 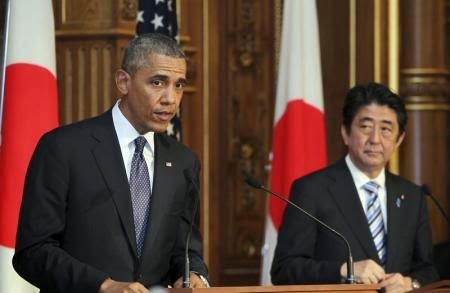 "We don't take a position on final sovereignty determinations with respect to Senkaku, but historically they have been administered by Japan and we do not believe that they should be subject to change unilaterally and what is a consistent part of the alliance is that the treaty covers all territories administered by Japan," Obama said. A bit convoluted way of saying it himself, but the advance statement before he arrived in Japan is much clearer and stronger. U.S. President Barack Obama has assured Japan that tiny islands in the East China Sea at the heart of a territorial row with China are covered by a bilateral security treaty that obligates America to come to Japan's defence. Obama gave the assurance in remarks published by the Yomiuri newspaper on Wednesday, hours before he was due to arrive in Tokyo for a visit aimed at reaffirming strong U.S.-Japan ties in the face of rising tensions over China and North Korea. "The policy of the United States is clear - the Senkaku islands are administered by Japan and therefore fall within the scope of ... the U.S.-Japan Treaty of Mutual Cooperation and Security," Obama said, referring to the disputed islands known as the Senkaku in Japan and the Diaoyu in China. Behind [President Obama's remarks] is the situation in Ukraine. China confronting Japan in East China Sea and the Philippines and other nations in South China Sea conjures the image of Russia that has re-incorporated Crimea in southern Ukraine. In the press conference, President Obama and Prime Minister Abe emphasized the importance of observing the international law, and said they oppose the change of status quo with the threat of force. That's a good one, Mr. President. Your puppet regime in Ukraine was installed thanks to the use of force by neo-Nazi groups supported by your State Department and USAID. (UPDATE) Asahi Shinbun did an interview with Mr. Izumida (in Japanese, and in English translation, 4/23/2014). He laments there is no "world-class standard" in Japanese nuclear regulation and nuclear accident preparedness. He got that right. No mention of potassium iodide pills that didn't exist but were stored in a former high school building. It's ironic that it happened in a prefecture whose governor, Hirohiko Izumida, has won wide followings at least among net users by presenting himself as the champion and defender of citizens against evil TEPCO over Kashiwazaki-Kariwa Nuclear Power Plant. Izumida's government did not purchase potassium iodide pills and lied about it, and received the national government subsidy for the non-existent pills. Well, since Mr. Izumida does not want to allow TEPCO to vent even in a severe nuclear accident at Kashiwazaki-Kariwa, who needs those pills? Right? Niigata prefectural government announced on April 22 that 1.32 million potassium iodide pills to be distributed to residents during the fiscal 2012 [that ended in March 31, 2013] in areas within 10 to 30 kilometer from TEPCO Kashiwazaki-Kariwa Nuclear Power Plant (in Niigata Prefecture) in preparation for a severe accident hadn't been purchased. The government employee in charge stopped the purchasing process when there was no prospect of procuring the pills by the end of March in 2013. The employee wrote "already purchased" in the document, and no one verified it. The subsidy of about 8 million yen (US$80,000) from the national government was paid based on the document. The [phantom] potassium iodide pills that were supposed to have been purchased were "stored" at a former high school building in Niigata City which is now used as a disaster prevention warehouse, according to the paperwork. The medical and pharmaceutical section of the prefectural government says they intend to procure as quickly as possible. "Potassium iodide pills exist! Potassium iodide pills are the truth! I have seen them 200 times!" and all would have been forgiven. With teary eyes of course. Water-proof mascara and eyeliner, if available. It hasn't happened for some time, this telephone game over the Fukushima nuclear accident mostly due to translation errors (intentional and unintentional). 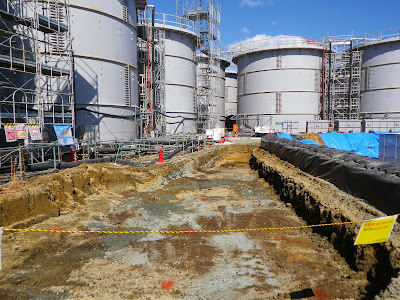 The last one I wrote about in the English blog was in September 2013, and that was about the world as we knew back then ending because of the "collapsed" exhaust stack at Fukushima I Nuclear Power Plant. I wrote about the not-so-brilliant comment by Mr. Akira Ono, plant manager of Fukushima I Nuclear Power Plant, in an April 19, 2014 post. He said he would make the switches for emergency temporary pumps "tamper-proof", which I argued would defeat the purpose of easy access in an emergency. In that same post, I also noted that Reuters had two different stories to tell in its Japanese article and its English article on the same topic of contaminated water routed to wrong buildings. And as I suspected, the Reuters English article got quoted by the US media (I haven't checked the UK media) and morphed. It will be soon imported back to Japan as "credible and reliable English-language source which would always tell the truth". 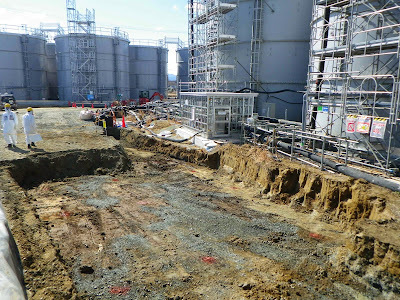 Mr. Akira Ono, plant manager of Fukushima I Nuclear Power Plant, spoke with the press on April 15 and commented on the problem of about 203 tonnes of contaminated water having been routed to wrong buildings, saying "I am ashamed. We haven't been able to sufficiently manage the plant (or we haven't been able to manage the plant as sufficiently as we would like)," admitting to inadequacy of the plant management. He said [the company] will investigate and come up with countermeasures. Then, when the article was translated into English and arranged for English-speaking readers, three things happened. First, the article title and the opening paragraph dropped the mention of routing water to wrong buildings and associated Mr. Ono's comment with contaminated water management in general. Second, Mr. Ono's comment was translated incorrectly - even if it is not technically wrong, that's not what Japanese would understand hearing Mr. Ono. Third, Mr. Ono's comment was severed from the context; then the context - that Mr. Ono was speaking about the particular incidence of routing water to wrong buildings - was placed after Mr. Ono's comment. Manager at Japan's Fukushima plant admits radioactive water "embarrassing"
The manager of the Fukushima nuclear power plant admits to embarrassment that repeated efforts have failed to bring under control the problem of radioactive water, eight months after Japan's prime minister told the world the matter was resolved. 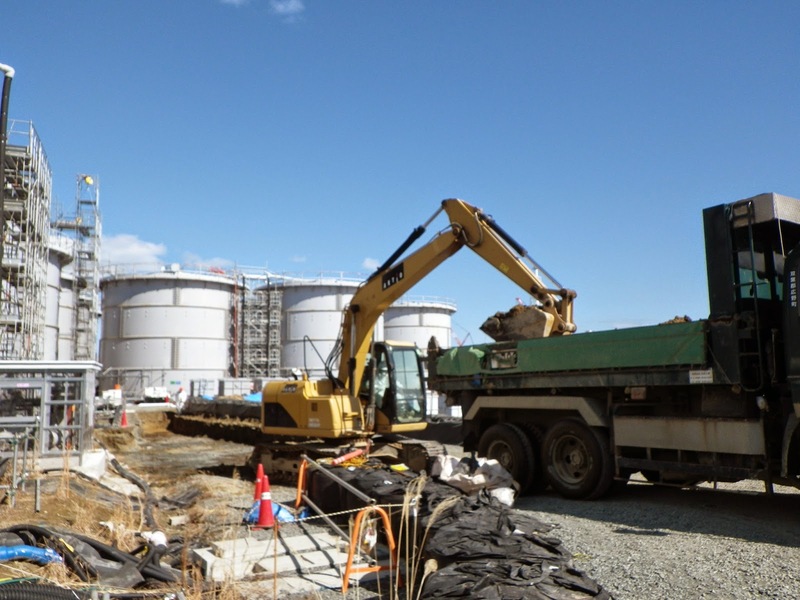 Tokyo Electric Power Co, the plant's operator, has been fighting a daily battle against contaminated water since Fukushima was wrecked by a March 2011 earthquake and tsunami. Prime Minister Shinzo Abe's government pledged half a billion dollars last year to tackle the issue, but progress has been limited. "It's embarrassing to admit, but there are certain parts of the site where we don't have full control," Akira Ono told reporters touring the plant this week. He was referring to the latest blunder at the plant: channeling contaminated water to the wrong building. This naturally invited one English-language media outlet called "nsnbc" to totally separate Mr. Ono's comment, and added some fluff on their own to create a familiar fantasy world of doom. TEPCO’s manager of the crippled Fukushima Daiichi nuclear power plant (NPP), Akira Ono, has begun to come clean on contamination control at the site. Akaira Ono broke the iron discipline admitting that it is embarrassing, but TEPCO’s attempts to plug the leaks of radioactive water have failed. But have Ono and TEPCO really begun to come clean? The site is so volatile that an earthquake could force TEPCO to abandon the site and a meltdown of tons of spent fuel rods. “It is embarrassing to admit it, but there are certain parts of the site where we don’t have full control”. Then finally, "I am ashamed, we haven't been able to sufficiently manage the plant" turned "embarrassing...we don't have full control" turned "we don't have control" has turned into "out of control" today. ...As Japan Times reports, the manager of the Fukushima No. 1 nuclear power plant has embarrassingly admitted that repeated efforts have failed to bring under control the problem of radioactive water. Zero Hedge quotes Japan Times, which is the Reuters English article. At any moment now, I am fully expecting a tweet in Japanese proclaiming "See, the plant is totally out of control! It's all in the English language media! They must be right! We aren't told the truth!" Now they tell us, but they also tell us any nuclear waste leak due to erosion would start in a few hundred years at the earliest, when all of us will be gone. Britain's nuclear dump is virtually certain to be eroded by rising sea levels and to contaminate the Cumbrian coast with large amounts of radioactive waste, according to an internal document released by the Environment Agency (EA). The document suggests that in retrospect it was a mistake to site the Drigg Low-Level Waste Repository (LLWR) on the Cumbrian coast because of its vulnerability to flooding. "It is doubtful whether the location of the LLWR site would be chosen for a new facility for near-surface radioactive waste disposal if the choice were being made now," it says. The EA document estimates that the one million cubic metres of radioactive waste disposed of over the last 55 years by the civil and military nuclear industry at the site, near the Sellafield nuclear complex in west Cumbria, is going to start leaking on to the shoreline in "a few hundred to a few thousand years from now". The agency voices concerns about "the potential appearance on the beach and in its accessible surroundings, during the process of erosion, of discrete items carrying a significant burden of radioactivity individually". They could range from tiny particles to larger objects such as hand tools that have become contaminated during use at Britain's nuclear sites then subsequently disposed of at Drigg, the document says. Officials at the EA are considering a plan by the companies that run Drigg to dispose of a further 800,000 cubic metres of waste there over the next 100 years. This will include radioactive debris from Britain's nuclear power stations, nuclear submarines, nuclear weapons, hospitals and universities. Environmentalists argue that continuing to use the site is "unethical, unsustainable and highly dangerous". But this is rejected by Drigg's operators, who describe the risks as "insignificant". The EA document, dated 9 January 2014, sets out the agency's latest assessment of the risks of coastal erosion at Drigg. It was released by the EA this month in response to a request from The Guardian. Erosion from storms and rising sea levels caused by climate change has "emerged as the expected evolution scenario" for Drigg, it says. Experts have concluded that this is almost bound to happen. Although Drigg was meant to be for low-level radioactive waste, there are fears that some of the disposals in the past may have included higher-level wastes. The rest of the nuclear industry's medium and high-level wastes are still awaiting an agreed disposal route, with successive UK governments failing for decades to find a deep burial site. The site, which covers about 110 hectares, is between five and 20 metres above sea level. It is run by a consortium led by the US engineering company URS, the French state-owned nuclear company Areva, and the Swedish nuclear firm Studsvik. The consortium has already been asked by the EA to look at options for improved flood defences. According to Ian Parker, the EA's nuclear regulation group manager in Cumbria, the agency had reached its latest conclusions after detailed technical assessments. "It's highly probable the coast will erode and the waste will be disrupted," he said. The EA was taking "a very conservative approach" to reduce risks to future generations, he argued. Further public consultations on the proposal to keep using the site were due in the autumn, and no final decision would be taken until next year. Drigg's operator, LLW Repository Ltd, said it had introduced new restrictions on the amounts of radioactivity that can be disposed of at the site in order to make sure that radiation doses to people will be "very small" if the wastes are exposed by coastal erosion. The company's head of science and engineering, Dr Richard Cummings, accepted that erosion could start "in a few hundred years". But he added: "The radioactivity in the wastes will largely have decayed away by this time." Carrying on disposing of waste at Drigg was sustainable and ethical because future generations would be given the same protection as now, Cummings said. "The stringent regulatory requirements we have to meet ensure that even if people in the future forget about the repository and the wastes disposed there, the effects will be insignificant." But Martin Forward, from Cumbrians Opposed to a Radioactive Environment, pointed out that more than 1,200 radioactive particles from Sellafield had been found on nearby beaches in recent years. "The potent threat of rising sea levels makes the future use of the site unsustainable, unethical and highly dangerous for future generations," he said. A state minister in Mr. Shinzo Abe's cabinet, Mr. Keiji Furuya, visiting the controversial Yasukuni Shrine is at least explainable. But the president of the United States visiting the shrine that enshrines Emperor Meiji and Empress Shoken as god and goddess? To honor the current emperor by paying respect to his great-grandfather, I suppose. Emperor Meiji is the great-grandfather of the current emperor of Japan, although his great-grandmother is a concubine of Emperor Meiji. (The Empress was childless.) Meiji Jingu shrine was built in 1920. Secretary of State John Kerry and Secretary of Defense Chuck Hagel went to Chidorigafuchi Cemetery to honor the war dead when they visited Japan in October 2013. There I thought it was the beginning of a new tradition that would help de-emphasize Yasukuni. I was wrong. Visiting Meiji Jingu shrine seems devoid of meaning, which fits Mr. Obama's presidency rather well. WASHINGTON—The White House said Friday that U.S. President Barack Obama will visit Meiji Jingu shrine during his stay in Japan, as part of his tour to four Asian countries in late April. Detailed schedules of Obama’s trip have also been released. Obama will have a private dinner meeting with Prime Minister Shinzo Abe on Wednesday, and on Thursday they will hold a summit meeting to demonstrate unity between Japan and the United States toward the international community. Obama will be the first U.S. president to visit Japan as a state guest in 18 years, since a visit by then U.S. President Bill Clinton. Obama will stay in Japan from Wednesday to Friday. After leaving Japan on Friday he will then visit South Korea, Malaysia and the Philippines. The private dinner will be held soon after Obama’s arrival in Japan, on Wednesday evening. According to sources knowledgeable on Japan-U.S. relations, they will dine outside the prime minister’s official residence with the intention of deepening their relationship in a relaxed atmosphere. On Thursday morning Obama will attend a welcome ceremony in the Imperial Palace, followed by the summit meeting and a joint press conference. In the afternoon, the U.S. leader will visit the National Museum of Emerging Science and Innovation and Meiji Jingu shrine, before meeting with Japanese business leaders. In the evening, Obama will attend a banquet at the Imperial Palace. At a press conference Friday, National Security Advisor Susan Rice commented on Obama’s forthcoming tour of Asian countries, saying that it will be an important opportunity to clearly express the United States’ continuing focus on the Asia-Pacific region. Despite being a "state guest", the status of which will cost the host country extra few million and require Japan's Emperor and Empress to host a lavish banquet for the guest, Mr. Obama won't be accompanied by his wife, leaving many Japanese puzzled.